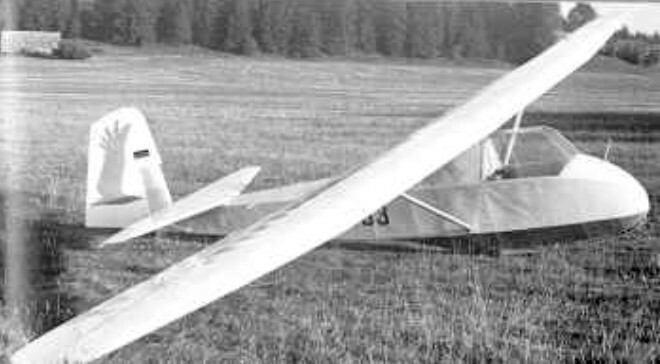 There was a need for a single seat glider which would be suitable both for training and high performance cross-country flying, and to meet this need Wolf Hirth and Edmund Schneider designed and built the Grunau Baby, which made its first flight in 1932; it took its name from the town of Grunau just south of Berlin, now Jeżów Sudecki in Poland, where it was built. It was designed by Edmund Schneider with the assistance of Wolf Hirth and Hugo Kromer as a smaller version of Schneider's ESG 31 of the previous year, incorporating an elliptical wing design based on work done by Akaflieg Darmstadt. The first 14 inner ribs were of the Gotinngen 535 shape with the outer ribs gradually changing up to the last 22nd rib having a bi-convex and symmetrical shape with a slight reduction in the angle of incidence. The tips and leading edges of the wings up to the main spar were covered with plywood. 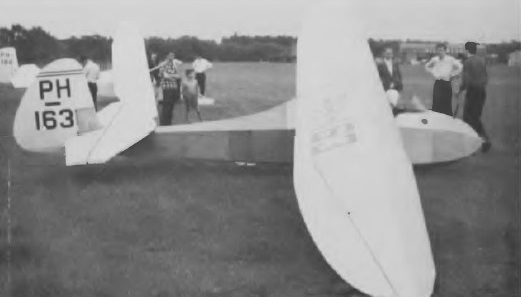 The tail unit was built of plywood. The intention was to create an aircraft suitable both for training and for cross-country soaring. 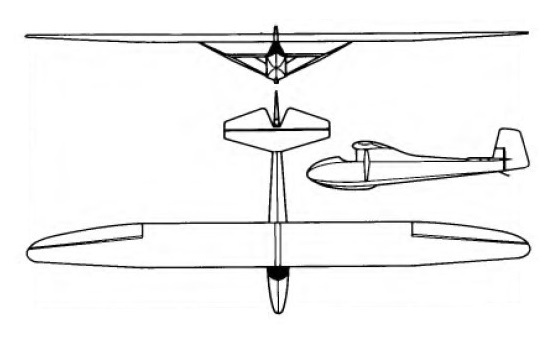 It was a high-wing braced monoplane with a fuselage of hexagonal cross-section and an open cockpit. This single-seater was of simple wood and fabric construction with a high strut-braced wing, a plywood fuselage of hexagonal cross-section and an open cockpit ahead of the wing leading edge. Production began in 1933 and in its initial form the Baby's span was 42 ft 2.5. An extensive redesign was undertaken in 1932 following the fatal crash of an unrelated Schneider design, which resulted in the Baby II. This version and the definitive Baby IIb that followed were adopted as standard sailplane trainers for the German Air Sports Association (later the National Socialist Flyers Corps). In 1935 the Baby 2 was produced with the wing span increased to 44 ft 6.25 in. In the Baby 2A and 2B the retangular cross-section fuselage was strengthened with double layers of diagonal plywood; there was now a windscreen to protect the pilot, skid landing gear and airbrakes, although many have been modified by the addition of canopies. About 80 Mk 1s and around 700 Mk 2A and 2B variants were built by Grunau Riesengebirge, and the Baby was built under licence in a number of other European countries, production eventually totalling several thousand. 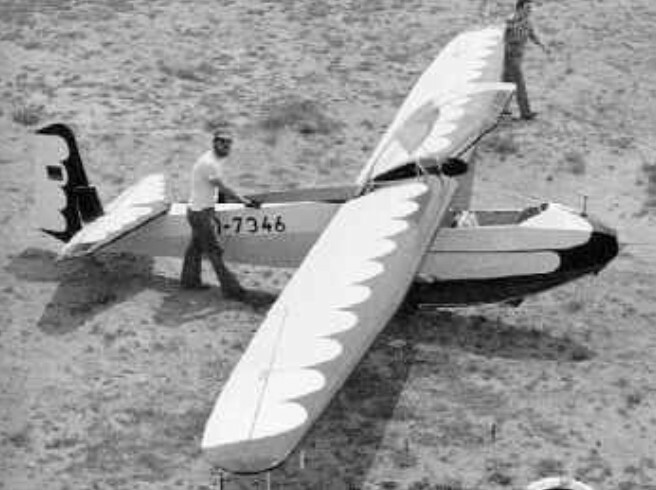 The Baby IIB-2 was an intermediate performance single-seat glider circa 1960. Among the licensees were Slingsby, who built 15 at their Kirkbymoorside works from 1935 as the T 5 Baby 2, and some others were also built by amateur constructors from BGA-supplied plans. The Slingsby-built ones had no air brakes whereas Elliott's version, known as the Type 8 Baby Eon, had spoilers in the wing upper surfaces. The Baby Eon was an improved version of the Baby 2B, and had an enclosed cockpit canopy; instead of the German built Baby's single main landing skid, the Elliott version had a rubber-mounted ash main skid with a single main wheel of fixed centre, plus a tail skid. It was also available with an open cockpit as well as an enclosed 'bubble' canopy; an elevator trimmer and a belly hook for higher winch launching were offered as optional extras. During 1941, 30 Grunau Baby gliders were built by Laminação Nacional de Metais, later Companhia Aeronáutica Paulista in Brazil, under the name "Alcatraz". Production of the Baby Eon began in 1948 and 47 were built altogether, plus several more from Elliott factory-supplied kits. An improved variant of the Baby Eon, incorporating a new tailplane and mass-balanced elevators, first flew in 1956 while another improved postwar variant was the Grunau Baby 3, which had several modifications over the earlier Mk 2, including an enclosed cockpit. Series production was undertaken under license by Nord in France. The French built Grunau 2B was renamed Nord 1300, some alterations were made, which resulted in inferior performance. By November 1947, 250 Nord 1300 were built. The Grunau Baby was made in Sweden by AB Flygplan circa 1945. When Edmund Schneider, the Baby's co-creator and manufacturer, moved to Australia after the war and formed his own company there at the invitation of the Gliding Federation of Australia, he produced the improved version, the Grunau Baby 4. In Finland in 1949 Mr Pentti Alanne and Mr Vilho Swahn fitted a Grunau Baby with a French Poinsard engine in the nose, and a landing gear similar to a Piper Cub's. It is estimated that around 5000 Grunau Babies or derivatives were made worldwide, including Germany, Great Britain, France, Sweden, Poland, Norway, Czechoslovakia, Romania, South Africa, Australia, China, Canada, Argentina, and the U.S.. In addition to training glider pilots, the Grunau Baby was used to train Luftwaffe pilots, who, in accordance with the Treaty of Versailles, could not fly powered aircraft. Many pilots of the Baby II achieved the ‘Silver C’ soaring badge, which required the pilot to be airborne for more than five hours, gain a minimum of 1000 m after takeoff and travelling 50 km. The Grunau Baby V was designed by Herbert Gomolzig, and Wuppertal.